Product prices and availability are accurate as of 2019-04-17 08:48:12 BST and are subject to change. Any price and availability information displayed on http://www.amazon.com/ at the time of purchase will apply to the purchase of this product. Nortel: i2002 (NTDU91), i2004 (NTDU92), i2007 (NTDU96). 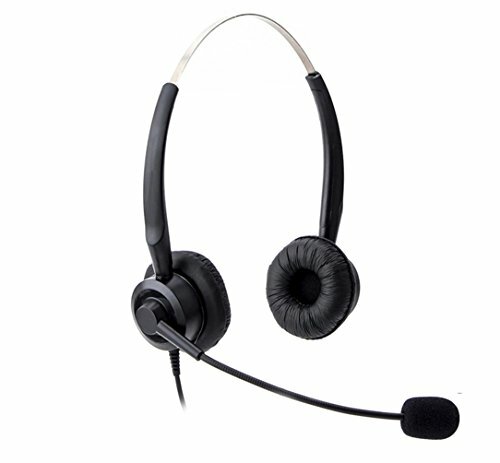 PolycomIP Phones: IP 300, 301, 335, 430, 450, 500, 501, 550, 560, 600, 601, 650, 670, CX200, CX300, CX500, CX600, CX700, VVX300, VVX310, VVX 400, VVX410, VVX500, VVX600, VVX1500. Digium Phones: Digium D40, Digium D45, Digium D50, Digium D70. 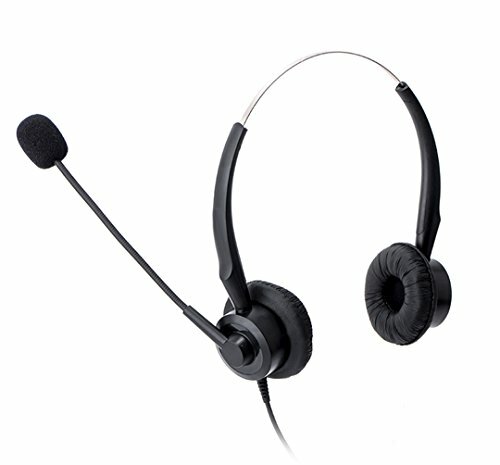 Altigen: AT-500, AT-510, IP-600, IP-705, IP-710, IP-720 Phones. Shoretel: 420, 480, 480G, 485. Aastra designs: 6731i, 6735i, 6737i, 7446i, 9112i, 9133i, 9116, 9143i and 9480i. 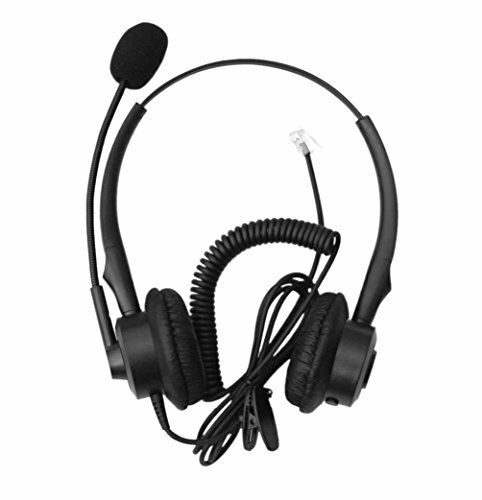 Direct connect over-the-head headset, No additional amplifiers or adapters required, Most easy setup headset solution. ONLY WORKS FOR SOME SPECIFIC PHONES. SEE COMPATIBLE PHONE LIST IN DESCRIPTION, BUY THE ITEM TODAY IF YOU HAVE ONE OF THE PHONE MODELS LISTED BELOW. 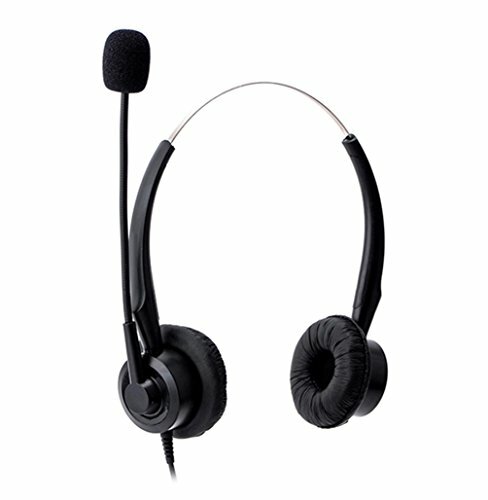 Noise canceling microphone to reduce background noise and Acoustic Shock Protection circuit to protect your hearing. 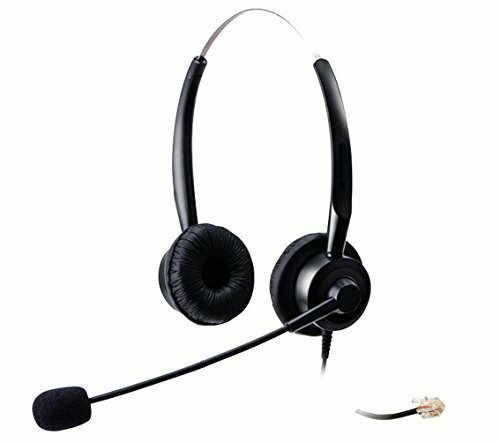 Super Lightweight, Super Durable Headset with Comfortable ear and mic cushions, Shirt clip included. NO Mic Mute / Volume Control built in.